Furthermore, the programme will show how a shrimp with vision like no other animal on the planet views the natural wonder. The Reef is home to some of the world’s most fascinating animals and David captures an array of creatures such as the manta ray, the epaulette shark that walks and the humpback whale that have made the Great Barrier Reef their home. The series also uses the latest satellite tracking data to follow the incredible journeys like those of the dwarf minke whales, green turtles and tiger sharks who travel thousands of kilometres to migrate there. However, in the sixty years since David’s first visit, the Reef is now seriously under threat. Reflecting on his unique experiences, he explains how the Reef has lost almost half its coral since his first visit and will look at what the future holds for it. He is determined to discover how it can be saved. In his quest he consults the Reef’s top scientists and visits its island research stations where researchers and their teams are trying to help corals cope with the climates rapid change. David’s journey also takes him to the deepest part of the Reef where no one has ventured before, in the hi-tech Triton Submersible, to collect corals that may help scientists to better understand this natural wonder of the world. Martin Clunes is off to Australia, however, he’s eschewing the traditional hot spots in favour of some of the countries most remote, diverse and interesting islands. And he’s got more than 8000 to choose from! 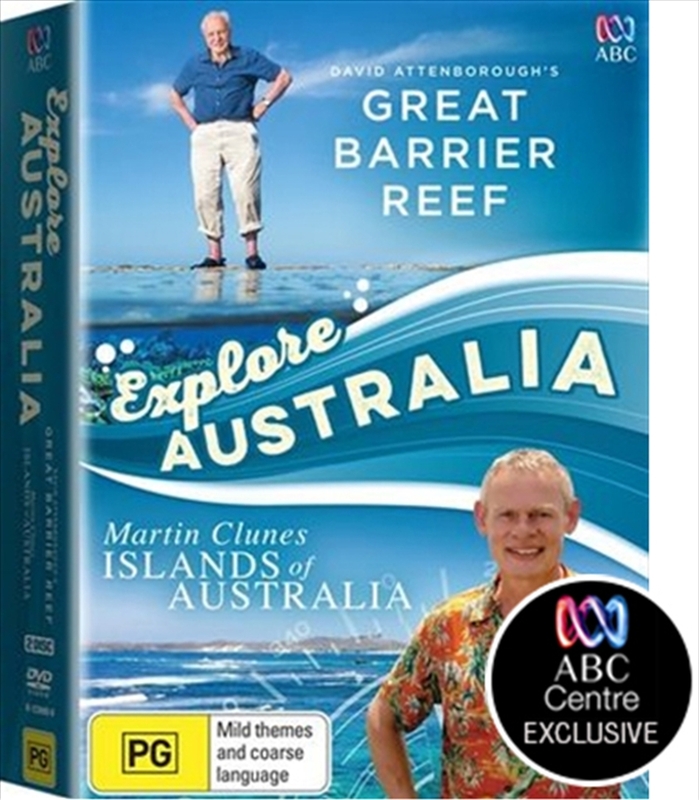 Across three beautifully shot episodes, Martin travels to the four points of the compass and visits sixteen islands to provide a cross-section of what island life is all about. Starting at Fort Denison, a former island prison in Sydney’s harbour, he flies east, taking in islands at the very far reaches of Australia’s territory, including Lord Howe Island and Norfolk Island, the remotest island on Martin’s journey – 1500km from the mainland. On Norfolk he meets descendants of the legendary Bounty mutineers, who relocated here from Pitcairn Island in 1856 and gets a glimpse into its dark, convict past. On Friday Island he meets former pearl fisherman and learns about the Japanese divers who settled here, while the Tiwi Islands in the north give Martin a first-hand experience of Aboriginal culture. At the Magical Muirons, he swims amongst the coral with clownfish, stingrays, turtles – and a whale shark; on Philip Island he meets penguins and tears up a racetrack in a Mini Cooper; he comes face-to-face with deadly tiger snakes on Carnac and on Maria Island he investigates a Tasmanian devil conservation programme. From shipwrecks and real-life Robinson Crusoes to remote cultures and curious creatures, Martin Clunes encounters them all on his Islands of Australia.